My lunch today was homemade guacamole, fresh blueberries I picked on Saturday, and fresh snow peas from my garden. I love summer! I need to eat like this all year long, but it’s hard in the winter! I want to eat more fruits and vegetables as a snack. This is why I forced myself NOT to make peanut butter and chocolate chip cookies last week even though I was craving it. I have friends who swear by smoothies…including green smoothies. I love mango smoothies and peanut butter, banana, and oatmeal smoothies. But I found the calorie content is much higher than I would normally eat for a snack. I am also keeping a food diary on My Fitness Pal again. So I tried to make a carrot/apple/banana green smoothie and I even followed a recipe. My kids tried it and said it was gross. I cannot say I really blame them. What I learned from this whole experiment is I like fruits and vegetables. I just do not prefer them all blended together. I have had a couple salads this week. I also have had banana halves, fruit and lowfat yogurt, and raisins. I will continue to eat more fruits and veggies with my meals and as a snack. 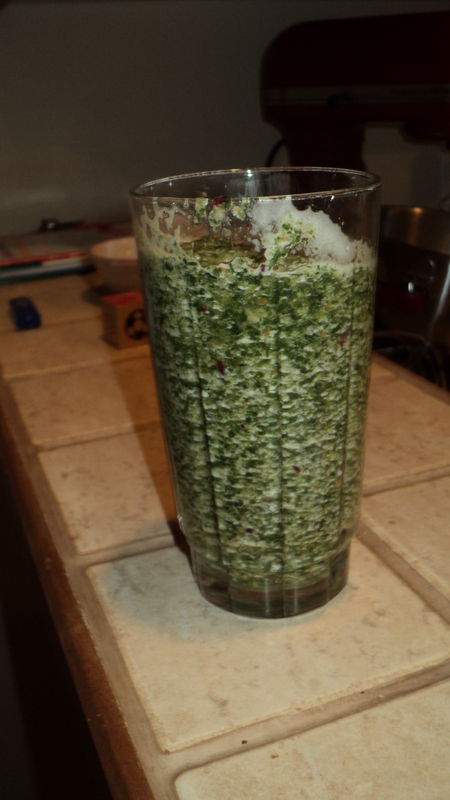 I am a little afraid to venture into the green smoothie territory again. Some people make a New Years resolution to lose weight. 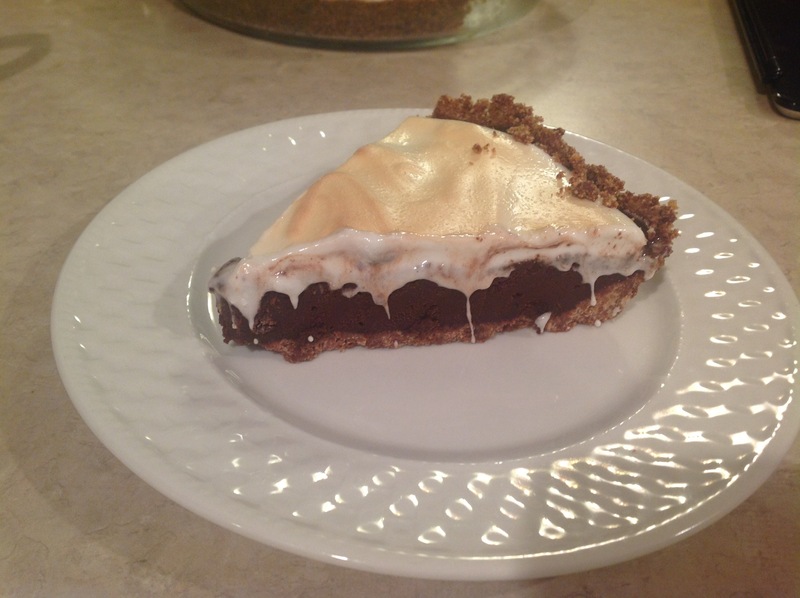 My husband’s resolution was to make a new dessert every week. I told him since he was taking the time to try brand new recipes and take pictures of every single one (and I still laugh when my nephew said–“Why do you have all these pictures of food on your computer?) he really ought to create a blog. So Weekend Dessert is officially launched. You will find some gourmet delicious desserts on it. I have always been a hot fudge sundae type person. My husband has helped me expand my horizons. 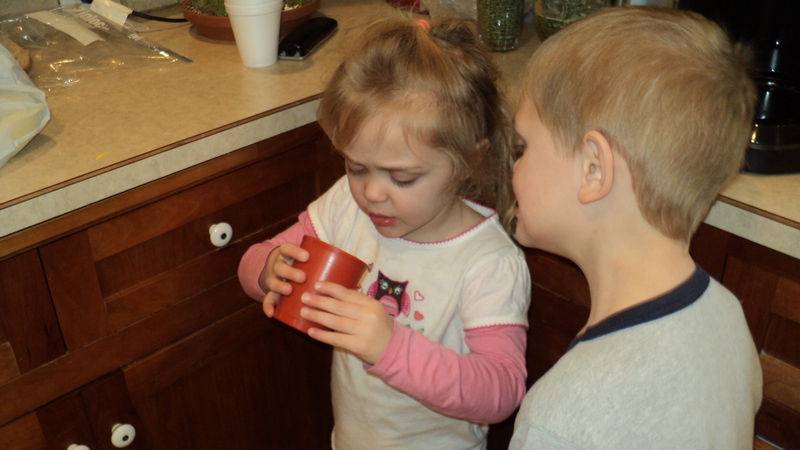 This past weekend I had some extra time in the kitchen to try out some new recipes. 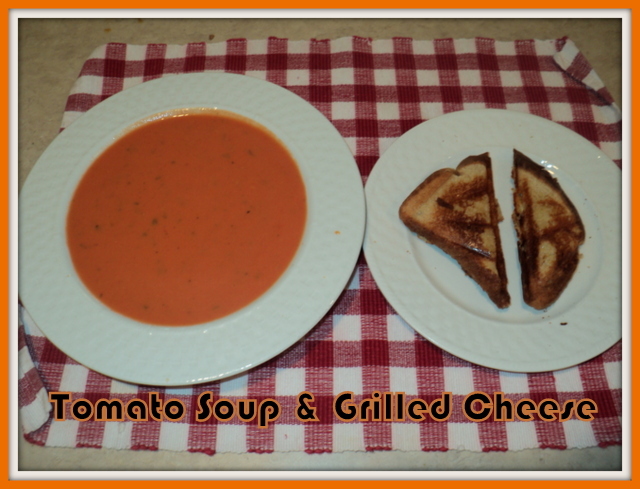 If you still have garden fresh tomatoes (and we are about done), this soup is wonderful! It is easy to make. Put it with a grilled cheese sandwich and you have the perfect lunch. I also LOVE to bake and keep coffee cakes and quick breads in my freezer. I attend both a MOPS group and a Women’s Bible Study called Coffee Break. I have to bring brunch to each every few months. It saves time to simply pull something out of the freezer. 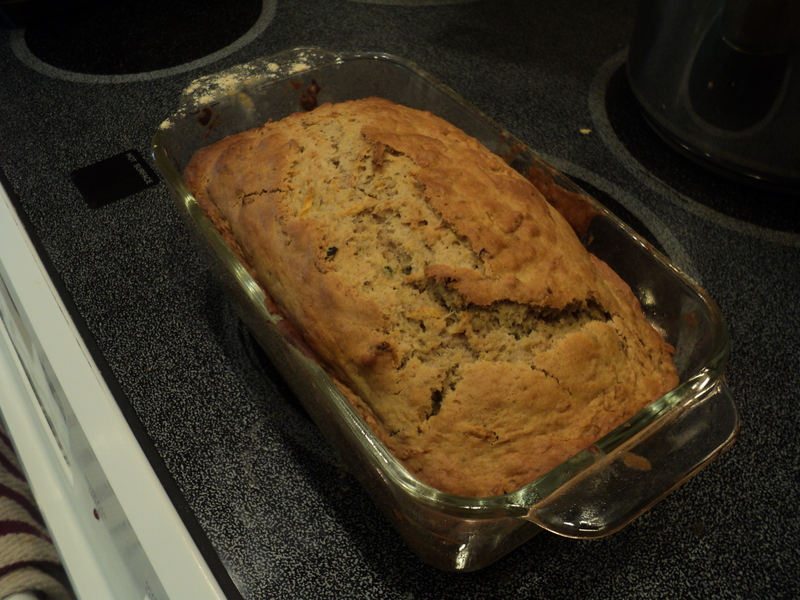 I had overripe bananas laying around. 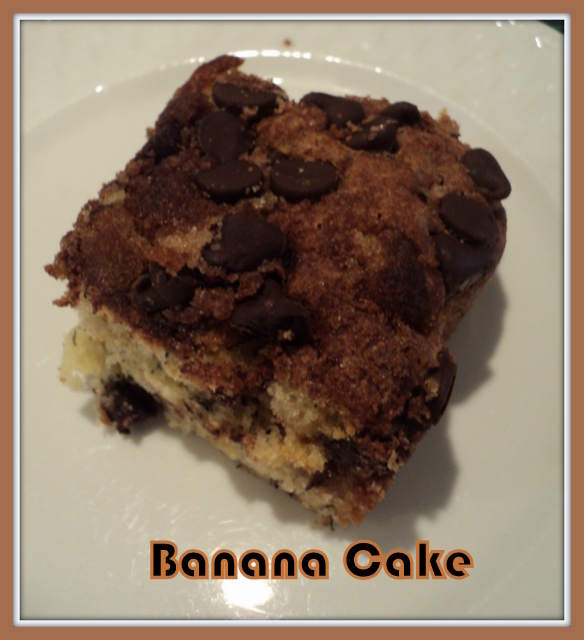 Instead of making banana bread or muffins like I usually do, I made this delicious coffee cake. I had planned on freezing it. 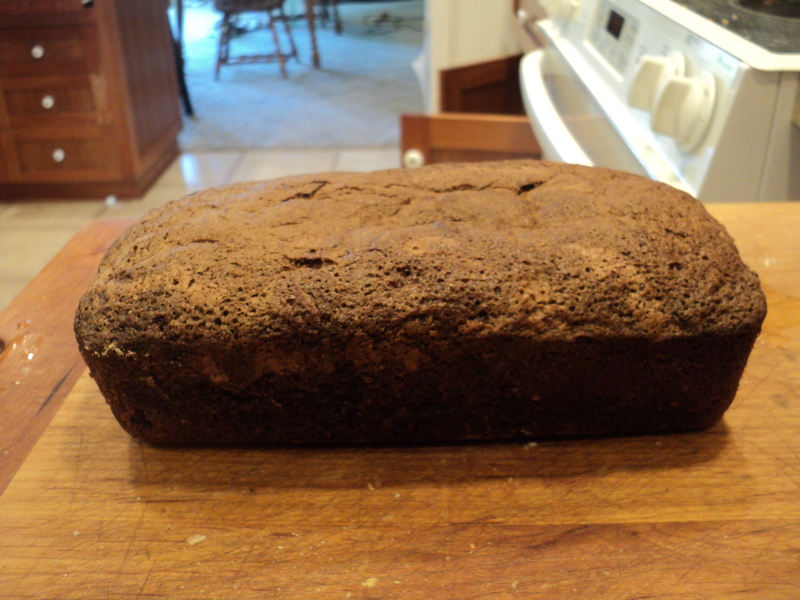 It looked so good coming out of the oven that the kids and I ate it over a couple of days. I will have to wait until my bananas are overripe to make another one. What recipes do you like to try in the fall? I hope to do some more baking this week with the apples I recently picked. Hello my name is Amy and I am a Diet Mountain Dewaholic. My last drink was Monday evening at 6 PM. It was a long drawn out battle to give up regular Mountain Dew & regular Coke. I started the process in 2000 and finally was successful in 2010. I’m not kidding when I tell you there were times I cried over this issue. I thought I had won the battle when I only drank strictly diet soda. However, that amounted to drinking two sometimes three diet sodas a day that all contained caffeine. Not to mention the cup of coffee I have every single morning. If you are drinking something not necessarily because you are thirsty but because it feels good to drink it–you might be too dependent on it. So now it’s strictly ONE cup of coffee and that’s the only caffeine I consume in a day. So far I am not feeling the cravings nor am I having any head aches. I am enjoying the better sleep, the less late afternoon fatigue, and not being overly dependent on a 12 oz soda. I hope I continue to stay on this path! I officially ended my summer tonight with a bike ride by sunset. It was a bittersweet feeling seeing all the kids skateboarding and playing soccer in their front yards, the adults walking dogs, and the bikers like myself taking advantage of the beautiful evening. 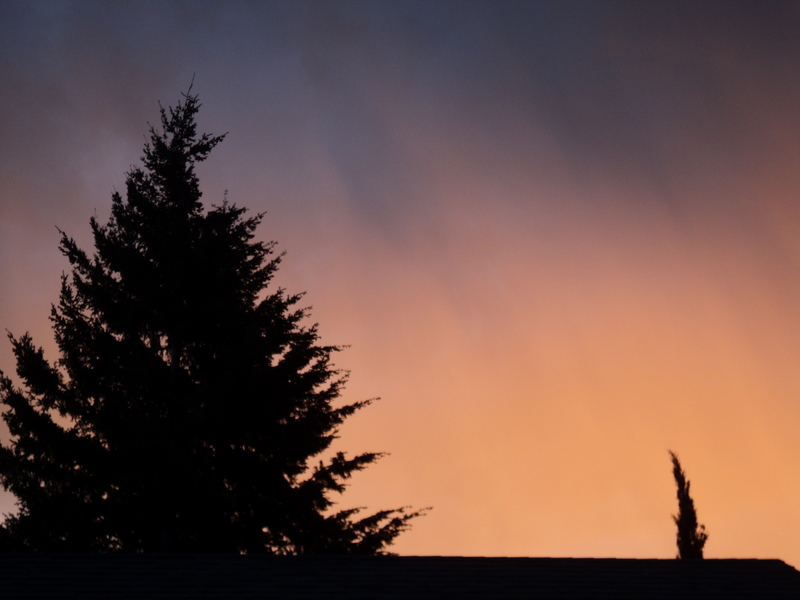 It is hard to believe in a few short weeks it is going to be dark at 5:00 PM, probably rainy, and cooler. I LOVE summer! I do like fall too. I don’t like the summer to fall transition. To make things easier, I have spent the last few weeks getting my son’s preschool schedule together (I’m homeschooling him just for preschool), buying school supplies for my daughter, making some freezer meals for busy fall afternoons, and filling my freezer with muffins and breads. And of course a more organized meal plan. Here’s our meal plan for the first week of school! Thankfully after some failures in past, we have a good corn crop this year! 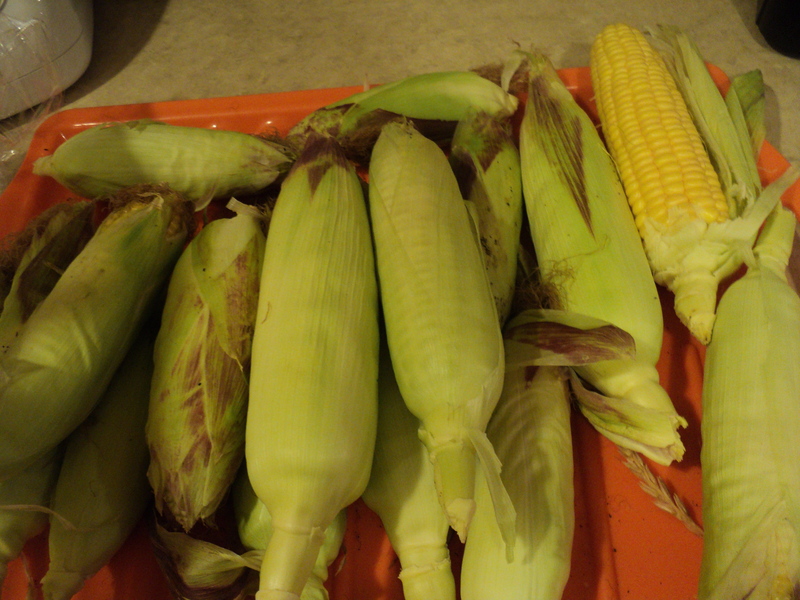 So hopefully garden fresh corn on the cob with one or two of these meals! 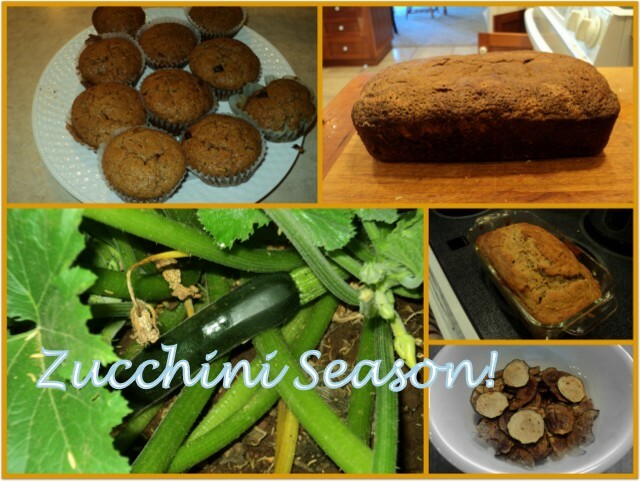 I never thought I would become a fan of zucchini bread and muffins until last fall when a friend gave me several large zucchini to take home. 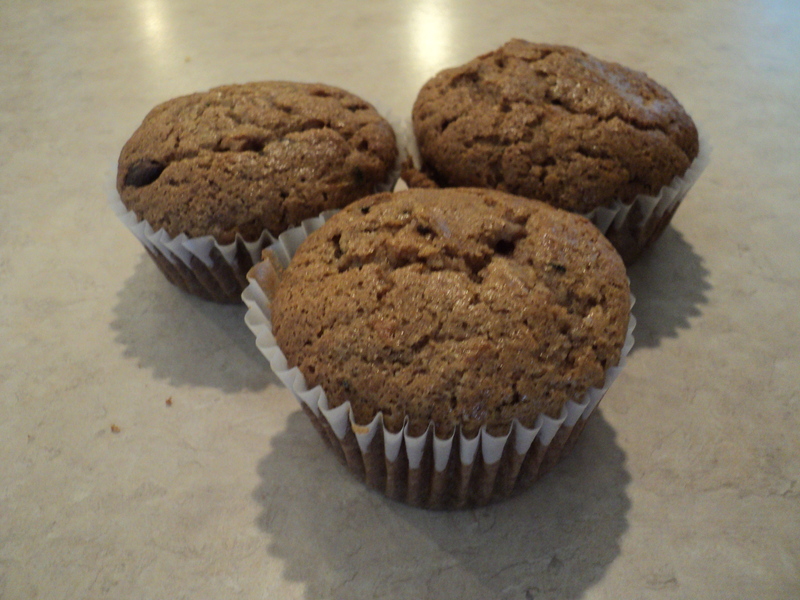 These are the best zucchini chocolate chip muffins! I bake them and they are instantly gone within 24 hours. My kids love them! I also bake a gluten-free batch and they turn out great. Zucchini Chocolate Bread with Chocolate Chips. Very easy to make! My oldest daughter brought this as a birthday treat last year and the first graders ate it up. Zucchini carrot bread. My first time making it. Two out of three children plus myself enjoyed it. Great way to use some of the carrots in your garden or fridge. 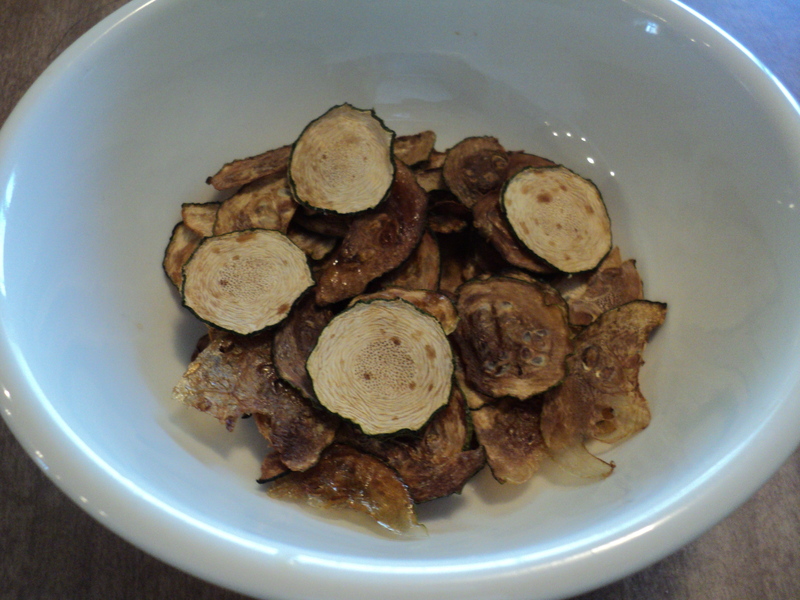 Zucchini chips. Easy to make but you need to allow yourself some time. Slice the zucchini very, very thin. I had to use a food processor. I tried to prepare a batch slicing by hand and they did not turn out. Cover parchment paper over a cookie sheet and lay slices on the paper. Spray with cooking spray. Sprinkle with sea salt. Do NOT use aluminum foil. I did this on my first attempt and it was like peeling stickers off a paper–most of the slices broke. Bake at 225 degrees for 45 minutes. Turn the cookie sheet around and bake an additional 30-45 minutes. They should look like potato chips. And they taste delicious!